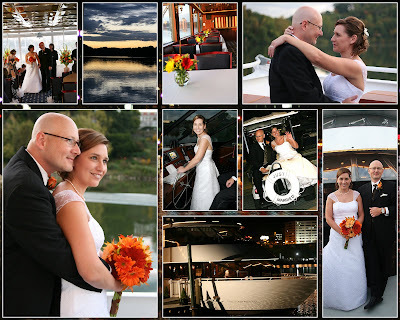 Jennifer and Tim were married on the water on the Volunteer Princess Cruise Yacht this last Friday, and what a great event it was. I really enjoyed being on the water with the motion of the yacht as well as the gorgeous and ever changing views as we cruised. They seemed just so completely enveloped into each other, I don't even know how much they realized cameras were there. Tim just couldn't keep from kissing on her, and Jennifer couldn't stop looking into his eyes all night - wow.